Quickly scan to PDF or Doc files and digitize multipage documents using your camera. Easily export your documents or create new ones on the go. 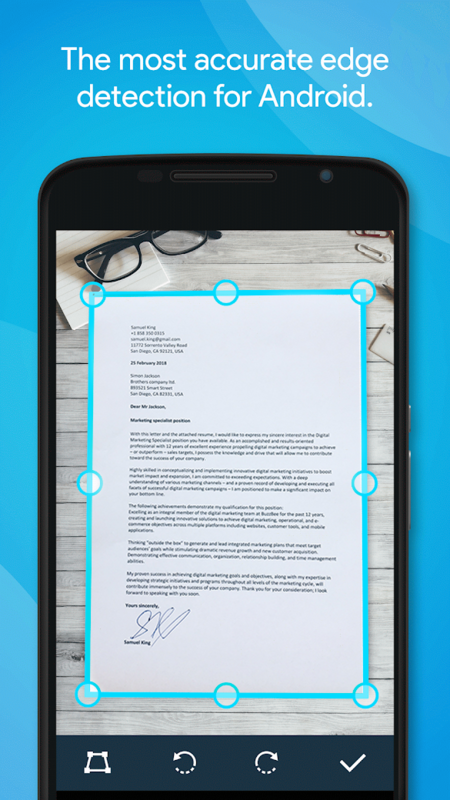 Track and mark the document edges with precision. Use the quick auto capture to shot in the best moment. 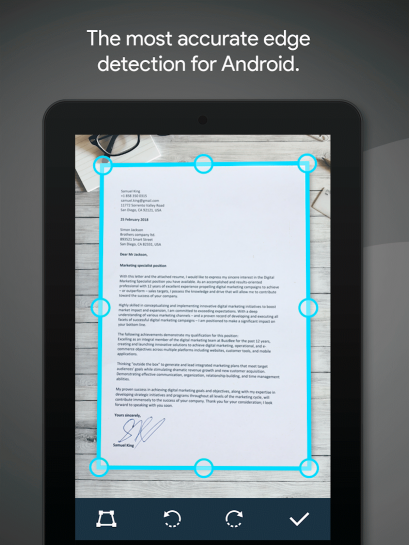 Work in portrait or landscape device orientation. The fast page processing of the app will enable you to scan many pages with the batch scanning and combine them all in a single PDF or DOC file. 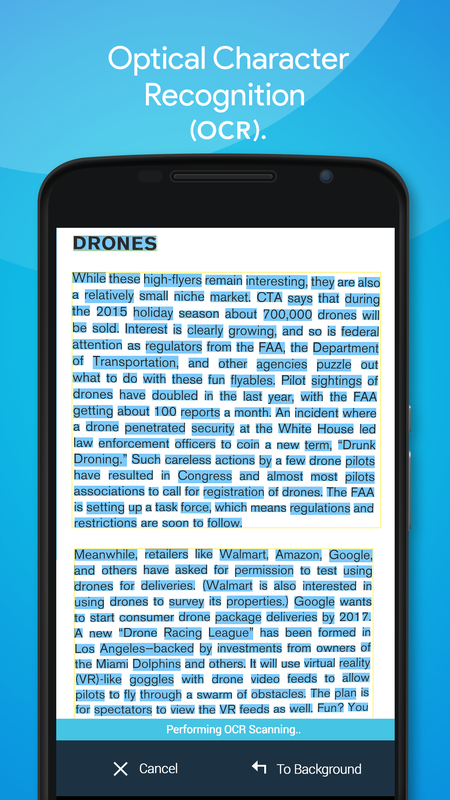 Readjust scanned pages with new zoom, crop levels and define custom page sizes. 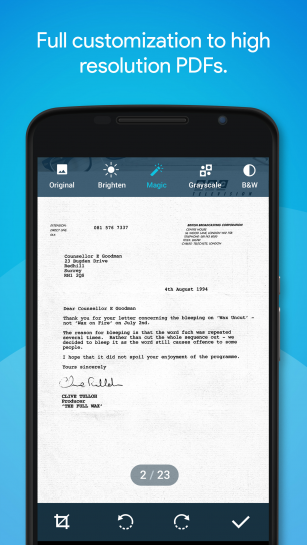 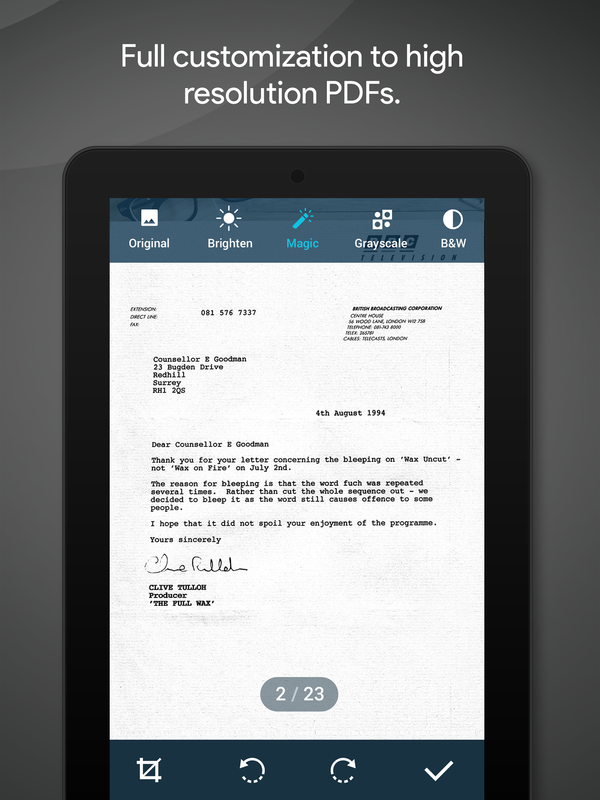 Save as editable PDF or DOC files with the Optical Character Recognition. 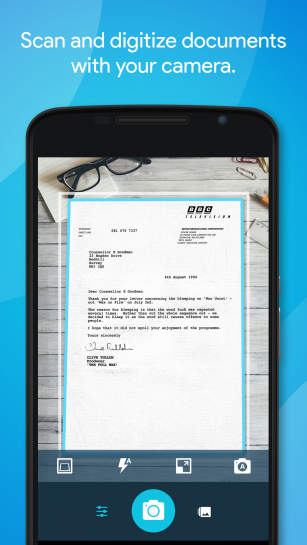 Whether you're sending receipts to your employer from the field or saving a magazine article for later, Quick PDF Scanner will help you scan and digitize your paper documents with ease. The latest Quick PDF Scanner introduces a completely overhauled interface, much faster image processing to make capturing your documents swifter than ever and intelligent real-time edge detection. 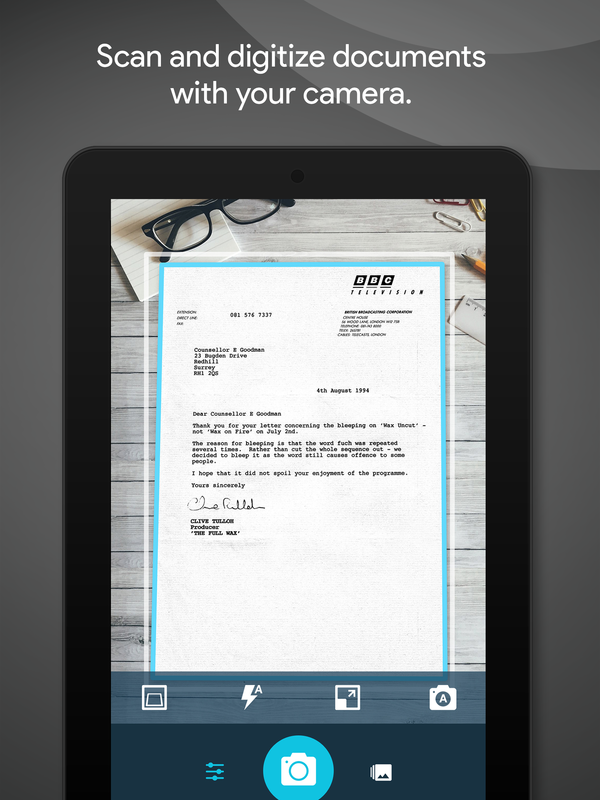 ADVANCED SCANNING - Portable document scanning with a wide range of advanced camera features. 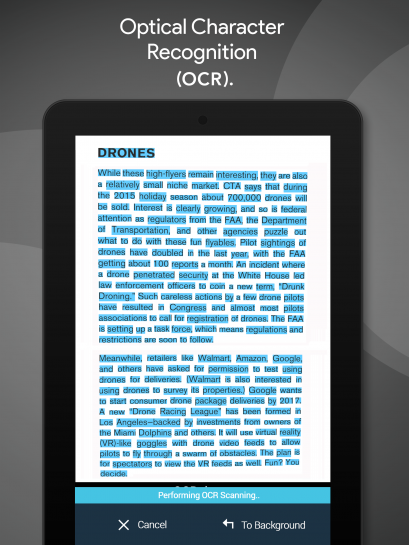 INTELLIGENT IMPORT OF EXTERNAL IMAGES - Import images and add them to your PDF documents.